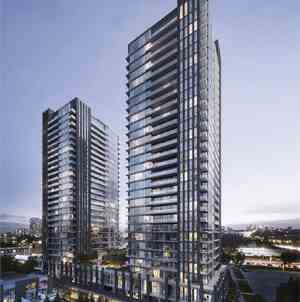 Sonic Condos is a 2 tower high rise condo development coming to the Don Mills and Eglinton East intersection, which is perfect for commutes through DVP and Highway 401. The 28 storey tower is designed by architectural firm Page + Steele IBI Group Architects and interior designed by UNION31.The development offers over 25,000 square feet of amenities. 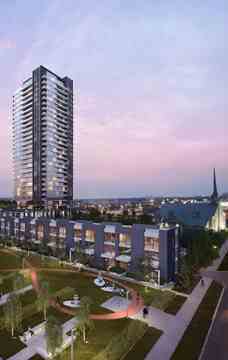 A Toronto-based real estate development organization with deep roots, spanning six decades in the award-winning, highly-reputed H&R family of companies, Lindvest has designed and built diverse, successful developments in neighbourhoods and towns across the Greater Toronto Area. As a company, Lindvest strives for excellence in all spheres of its business. Since our inception in 1998, we have been recognized for our excellence in planning, progressive urban design and high standards of construction, and have been successful in carving a niche in the competitive GTA new home market. Another enduring value in the Lindvest universe is customer service. To fuel growth and success, we invest heavily in customer service. From the quality of our homes to our interactions with shoppers, buyers and owners, keeping you satisfied is paramount for us. Whether it's a charming subdivision in a pristine setting or an iconic high-rise in the city, our award-wining communities are as vibrant and unique as the people who live in them. From convenient locations and beautiful settings to innovative designs and luxurious finishes, every detail of a Lindvest neighbourhood is rooted in our passion to help better your life. 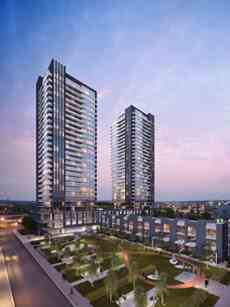 Sonic Condos is a new Condo development by Lindvest Properties located at Eglinton East and Don Mills, Toronto. Lindvest is a Toronto-based real estate development organization with deep roots, spanning six decades in the award-winning, highly-reputed H&R family of companies. Founded in 1998, Lindvest is committed to preeminent leadership in the real estate sector, maximizing stakeholder investment by developing well-planned, innovative communities.